Are you beginning this new year the usual way – reviewing the past and considering your direction for the future? For my 2019, I have set goals to complete three nonfiction books, begin a Coaching group and continue working on another novel. Each goal includes its own set of action steps and deadlines for accomplishment. But without too much of a focus on tomorrow, I am trying to learn how to live in the present. Grateful for the past and faith-filled for the future, it is nevertheless in the present that I live each day. So what is it about words that helps us live well today? The Power to Communicate. Whether expressing needs or chatting with a friend, communication is the core of how we relate. If you’ve ever visited another country where you were not fluent in the language, you know how desperate it feels to not be able to communicate. In my opinion, one of our greatest gifts is the freedom of speech – to communicate what we believe, using any medium, without fear of condemnation. The Expression of Creativity. Every serious writer recognizes that moment when the a-ha Spirit invents a new word or crafts the perfect sentence. That feeling of creating art gives significance to our craft and helps us realize we are co-creators with God Himself. Each day, I am hoping to learn more about the gift of creativity and the quiet beauty God uses to infuse spiritual truths into my particular world. Words as Tools. As a wordsmith, each construction becomes a building block for sentences, paragraphs and stories. Without words, I am silent. Without words, I feel bereft. I empathize with Reverend G who lost her words due to expressive aphasia. I cannot imagine such a terrible fate. Check out her story and the rest of the trilogy. Synchronicity – a meaningful coincidence. It brings me comfort to imagine a loving God who sends me a terracotta sunset just as I am longing for New Mexico. Or meeting a new friend who just happens to like chunky jewelry and lots of it. Parameters – physical properties that determine characteristics or behaviors. This type of structure sets the boundaries for my character sketches. Expectations – We all have them, good and bad. Often misconstrued, the proper expectations help me keep a positive outlook. Fantabulous – I just like the way this word sounds. I feel blessed to begin a new year thinking about words and their power to add or subtract from the quality of life. 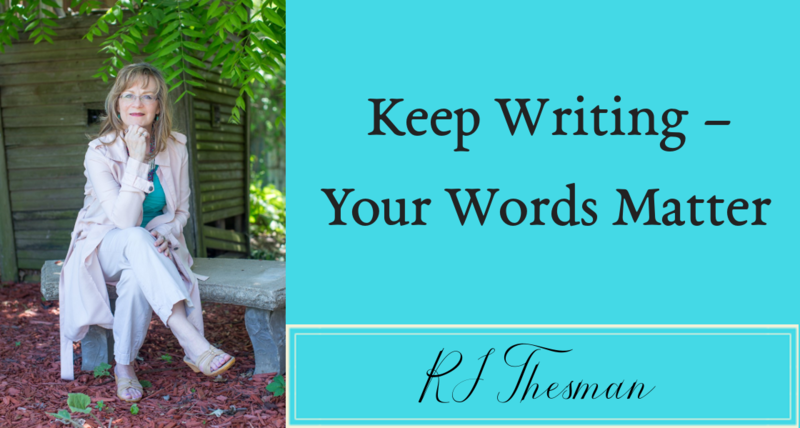 The blessing of words comes inherently from how they are used – to destroy or to build up. I choose the latter. How different would our world look if we used our words to communicate hope, express creativity and construct a truly caring community? Check out all my words at Author Central on Amazon.